I have been amiss photohunt-ing for a while.I was busy with some work. I'm catching up with this week's theme, LOCK. 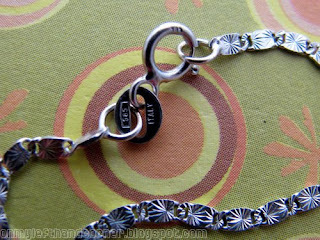 Here's a picture of the lock of my white gold necklace. Trivia: 585 in Italy gold actually means 14 karats.